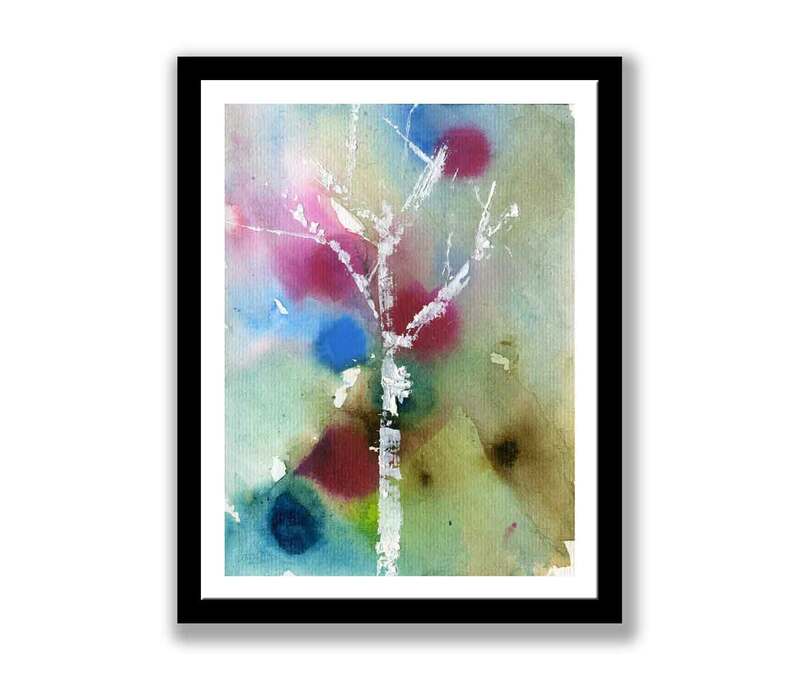 The tree is painted using white gesso on a ink and acrylic background. The warmth of the colours are in stark contrast to the cold of the tree. The background represents the sky, ground and other plants around the tree.